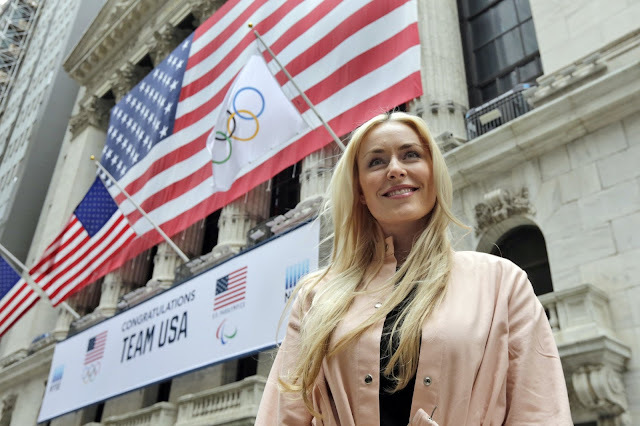 “Next goal, take on the world,” Vonn said, perhaps jokingly — but who’d put it past her? — when discussing what the future holds for her when she retires after the world championships in Sweden. One thing’s for sure: She’s unlikely to be slipping out of the limelight. She said she’ll be setting up her own business, which involves a “new project” that she is keeping under wraps for the moment. Attending a four-day course at Harvard Business School last year was an early signal of her post-skiing intentions. That would be a big deal for Vonn, who has previously referred to being “self-conscious about my level of education,” having never been to college. Her family moved from Minnesota to Vail, Colorado, when she was 12 to advance her skiing career, and she took online courses to complete her high school education. She has already been an extra on one of her favorite shows, “Law & Order,” and launched in December her own YouTube channel , LVTV, where she provides weekly lifestyle content on things like health, fitness and cooking. It’s therefore no surprise that being a mother is not immediately on her agenda, but she definitely plans to have kids somewhere down the line. If her boyfriend, Nashville Predators defenseman P.K. Subban, wasn’t already aware of that, he is now. Vonn at the CMT Music Awards. “Wait, I’ve got to make sure my boyfriend is here for this,” Vonn said, repositioning her phone. “Yes, of course, I’d love to have children. She said one of the reasons she is calling an end to her sports career now is so she doesn’t damage her body even more, to the extent that she wouldn’t be able to go skiing with her own children. She’ll be making a clean break from the sport, too, after the downhill on Sunday. Not even coaching. Throw in her foundation and her slew of well-known sponsors that she plans to continue representing and Vonn won’t have a problem keeping herself occupied.